The event is likely to be held either in late February or early March, said BJP and JD(U) leaders in the state. 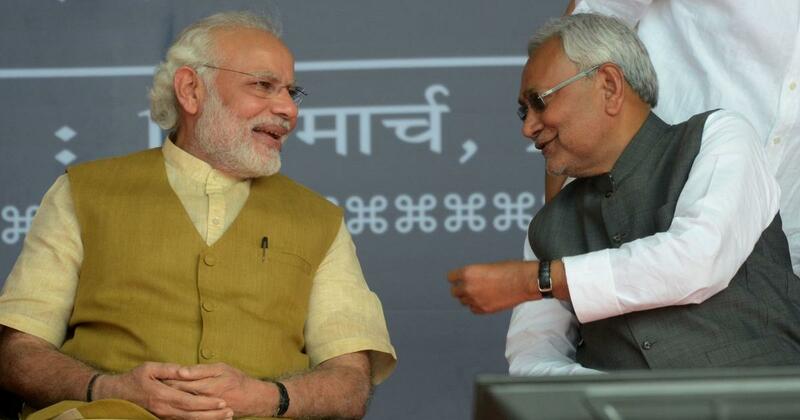 Prime Minister Narendra Modi and Bihar Chief Minister Nitish Kumar will address a joint rally in Patna in late February or early March to launch the National Democratic Alliance’s 2019 General Elections campaign in the state. The polls are expected to be held in April and May. No specific dates have been announced but an unidentified Janata Dal (United) spokesperson said the party has proposed that it be held on March 3, 4 or 5. Lok Janshakti Party chief and Union minister Ram Vilas Paswan will also attend the event, JD(U) National General Secretary KC Tyagi told The Times of India. An unidentified BJP leader said the joint rally was proposed during a recent meeting between Kumar and Bhupendra Yadav, who is in charge of the saffron party’s campaign in Bihar. Both the BJP and the JD(U) were now waiting for the final date to be approved by the Prime Minister’s Office, he added. Unidentified JD(U) leaders told The Times of India that the event was meant to be a “befitting reply” to Congress President Rahul Gandhi’s Jan Akanksha rally at Patna’s Gandhi Maidan on February 3.